Whenever my husband is craving something "Asian" and I am not in the mood to cook a lot, he tends to cook rice and season some ground beef and he's happy with his meal. 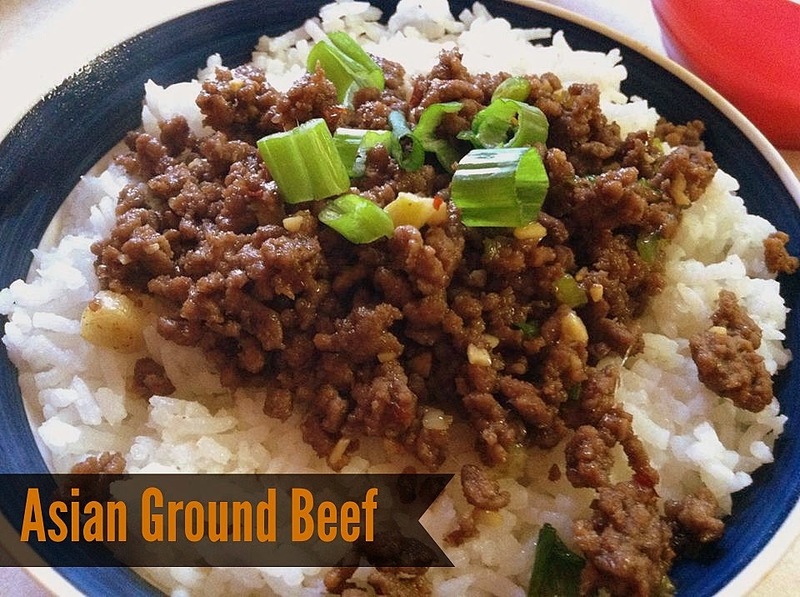 Well I wanted to give it a whirl and come up with some "Asian Ground Beef" that could my own standby when I was craving something with some flavor to it, without a bunch of hassle. This is what I came up with. I'm pretty pleased with it. It comes together quickly and the leftovers store well, since it is just ground beef. It reminds me a lot of beef bulgogi. Brown ground beef in a skillet over the stove. Add the garlic, ginger, green onions, and crushed red pepper flakes to the beef. Let simmer with the beef a minute or two. Add brown sugar, soy sauce and rice vinegar; combine well and let simmer 4 or 5 minutes longer.